The intensity of a traumatic incident varies from person to person. Trauma from when one was a child can range from a crippling fear of abandonment to physical abuse and anything between the two. Many adults are forced to deal with the trauma they experienced as children throughout their lives. This article will hold true for whoever has had to face something traumatic as a child. Sometimes, we just hide things because that’s easier than actually dealing with them. We even do this unconsciously in order to protect ourselves at the time. But it is important to deal with these issues so that we can finally be free of that burden. Those who have had to deal with trauma early on in life often struggle with anxiety as they grow older. They find it hard to process a lot of things in one go. Whatever they suffered as kids still influence them by making them extra jumpy. They’re always looking over their shoulders because they see the whole world as threatening. This is why they often get panicky even when they know that there really is no cause to panic in that situation. They have to suffer through panic attacks every time they deal with even the slightest bit of stress. Any traumatic experience as a child can completely transform the rest of your life. You’ll be anxious because you want to be sure that you’ll never be in a situation like that, or in a situation similar to that, ever again in your life. This makes you extra careful at all times and unwilling to take risks, even if you know they’re important. You like to stay where you are comfortable even if it means that you’re holding yourself back from realizing your full potential. You just complete all the tasks that are necessary to get by but you don’t push yourself to be the best version of yourself that you can be. Trauma can hurt you a hundred different ways, some of which you may not even realize till you’re much older. Part of this experience is the phobia you develop of certain things because your mind associates them with the pain you had to go through. It could be anything from the fear of a certain kind of alcohol to more crippling fears like that of being inside a moving vehicle and so on. It’s important to try and win over this fear before it begins to control every aspect of your life. We never know when we’ll run into something that can trigger us so it is better to try and work through our issues because we actually know that those things don’t have the power to hurt us anymore. When you’ve been through so much, sometimes it’s easier to just hide yourself away from the pity, the sympathy, the blame, and all the other emotions that the rest of the world will try to project on you, even if they are not close to you. You might hate the pitying glances or you might fear others passing harsh judgments on you. By ensuring that you only go out into society when you absolutely need to, you hide yourself from the prying eyes of everyone else. This is called a social anxiety disorder and don’t forget that you can always seek help for it. This is poorly written and I am sure lacks any responsible authorship or research. This is more of a opinion piece and not really helping anyone with this issue. Very true for many things in this article, but I don’t think we limit our full potential when we have struggled to brake the sycle of our abbuse. It’s braking the thickest of walls that anybody could go through and we are strong for doing that, someone who has never lived it, can never understand this strength . I am who you spoke about in the video, not actually her of course but her story and mine sound so similar. 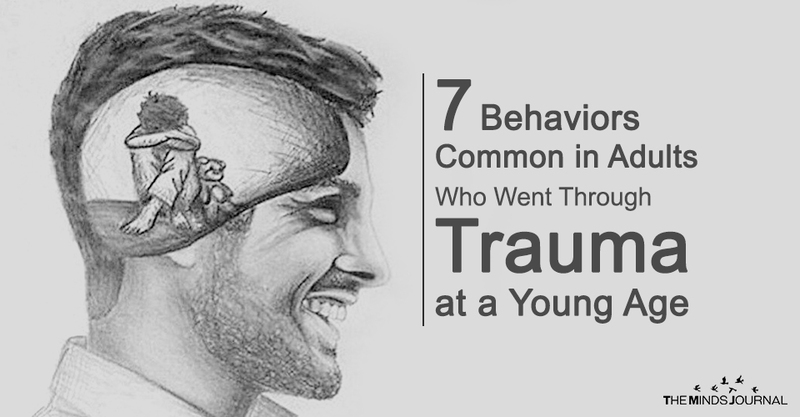 I have 7 of the 10 traumatic experiences from my childhood. I’m a functional middle aged adult today and have been throughout my life despite my childhood experience. No drug or alcohol addiction. No erratic behavior, no deep depression, no anxiety issues, normal to those who know me. Definitely a few things I wish I could improve on, namely weight loss an keeping it off. Counseling hasn’t been a help despite multiple attempts. My conclusion is I cannot handle the attention from men so I always put the weight back on, it’s safer. It might be a lot more complicated than that according to the mental health community but it seems so clear to me. If only I could figure how to change that for good……. I read the article as I am very concerned with mental health as it represent a problem at a global scale. It is important to realise that you need help and support and don’t be afraid to open up. As a survivor of childhood trauma I was pulled in by this article and it does describe my behaviors for the most part. I did not take this article as a “true for all survivors” piece. I did however find the article helpful in describing why I am this way but I also know that my behavioral counseling is an imperative part of my continued growth in self awareness and healing. This article helped me to get a better focus in my sessions. Anyone who sees this article as definitive diagnosis should re-evaluate why you say that. This article, if nothing else, gets the conversation started for people like me who want to improve ourselves and overcome the traumas in our lives. Thank you for the article..
who reach the apex of their field have trauma filled pasts, the very reason they achieved. validation and vindication, and a community gives them a place to hide. The article does not say as you charge. It says that these things CAN be symptoms of trauma. That is not mean that that symptom points to only one explanation. For analogy, one may have a headache and that CAN be evidence of a brain tumor. Having a headache, however does not mean that one has a brain tumor. On your second point, trauma by definition is something that is “bad.” If it is not bad, it is not trauma. I think what you may be trying to say is that the same type of event may be traumatic to one person and not traumatic to another. Or you may be saying that something that is traumatic can also have elements that can be used for good. If so, The first statement is objectively provable. The second is the basis of some of the therapy done with those who have experienced trauma (I.e. “reframing” the events) and is a matter of perspective. As a clinician I am quite bothered by the sweeping generalizations this article presents as facts. Trauma does not have universal responses. While it is true that one is more prone to panic attacks, for example, it is fallacious and irresponsible to imply that all who experience early trauma will suffer from panic attacks and hypervigilance. Please do more nuanced research before publishing articles like this. Your clarification is a good one. The title does imply that. In defense of the author, however, the article itself continually uses the phrase “may result in…”.